Indoor cannabis growers need to understand the important role that light plays in the growth of cannabis plants. Indoor growers who max out on yields have one thing in common – they use reflective materials. Sunlight is the best source of light but this may prove hard to have in an indoor garden. Indoor cannabis growers use artificial lighting instead and in order for them to maximize on this light, they invest in reflective materials. Choosing the right reflective materials can see your yield increase by up to 30%. On the other hand, using wrong reflective materials can burn holes in your crop and even reduce your yields. In this article, we will go over popular reflective materials that cannabis growers can use in their indoor gardens. Grow tents are self-contained cannabis gardens fully covered in highly reflective material from the ceiling to the floor and wall to wall. 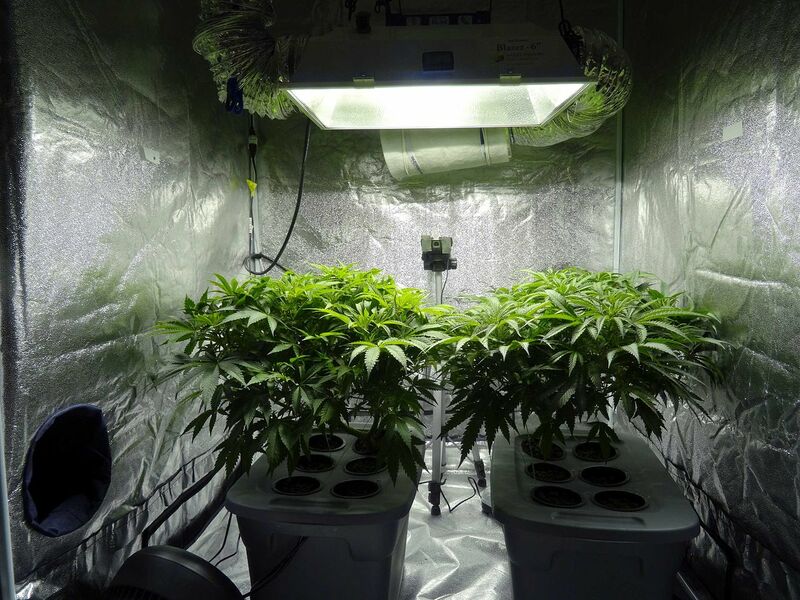 Unlike the white plastic-lined grow tents used in the past, modern-day grow tents feature various grades of Mylar or Orca grow film to enhance LED reflection. You can look up manufacturers like GreenQube and Secret Jardin to learn more about their latest grow tents. Shiny silver interiors remain the most commonly available and are good value for money. A grow tent made of standard silver Mylar lining can work well for an average and decent home grower. HID lamps work best with hammer style or dimpled reflective hoods. The glossy and smooth finish of the reflectors performs very well. The hammer style, in particular, diffuses the light more evenly. Extra-long reflectors with wide adjust-a-wing will reflect more light than narrow little cool tubes. If you have a big garden, you can choose to go for add-on kits that make hood models wider. The diodes in LED units are made of highly reflective materials and don’t require additional reflectors. Most of the HID hoods can use CFLs as long as the CFLs screw fitting is E40. CFLs come with additional weight and can only work with sturdier HID hoods. Using rolls of Mylar to line the walls of a custom grow room is a good option. Mylar is a lot cheaper nowadays and reflects up to 90% of the light. It’s also easily accessible and you should be able to find rolls of Mylar in any decent grow shop. To avoid creating accidental “hot spots” always ensure that you keep the Mylar flat and remove any bumps or bubbles. The Orca grow film is made up of high-tech fabric that makes use of a crystalline microfiber in order to boost reflection abilities into the 90%+ range. Though expensive, the Orca grow film performs optimally, especially if you can purchase it by the roll. To avoid bumps and bubbles, growers use Velcro to make sure the Orca grow film lies flat over walls. This is a decent option but one that’s likely to melt and even start peeling off in the event that the grow room becomes too hot. As a reflective material, it doesn’t perform very well with its abilities lying in the 80-90% range but if you’re on a tight budget with lots of room to cover then you can use it. Growers use Velcro to make sure it lies flat with no bumps. Again, if you’re working with a limited budget and have a large area to cover, you can use matte white pain. Its reflective abilities lie in the 80-90% range. Two coats of paint will ensure you get total coverage. Give the room a couple of days for the paint to dry and for the paint fumes to dissipate. Made famous by Ricky of Trailer Park Boys, tin foil is a crude reflective material that only offers up to 50% reflection. It’s also extremely fragile and known for creating hot spots regardless of how perfectly you stick it. Mirrors seem like a viable option but in reality they are not. You can expect hot spots when using mirrors and in the event one breaks, we don’t even want to think about what will happen next. Next PostNext Is There a Difference Between Being Stoned and High?